Weekday Rambler: Thanks, Aunt Audrey! Well, I learned a lot from reading this. I didn't realize Aunt Audrey taught you to sew. 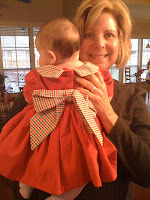 I lived with her for a few months before I got married....but I didn't learn to sew. You do beautiful work and I know Aunt Audrey would be proud. Your granddaughter is blessed to have you sew for her. 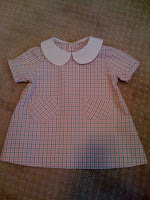 Very nice job with the sewing & the Blog, Dot! Aw, you're too sweet! I really enjoyed learning about your sewing history too. Very cool. I took home ec. senior year of high school but that was it. Years later I decided to make our Halloween costumes and made a pretty elaborate Geisha dress and samurai outfit. Again didn't touch it for years. 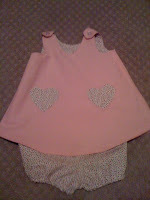 Then I kept seeing pics of all these cute pillowcase dresses but had no extra money so I decided I'd learn to make them. :) Luckily my mom had an unused sewing machine and friends and family have blessed me with fabric. You may be jealous but my aunt just gave me her serger...it's AMAZING! Anywho I'm having tons of fun. It's a great creative outlet/me time. 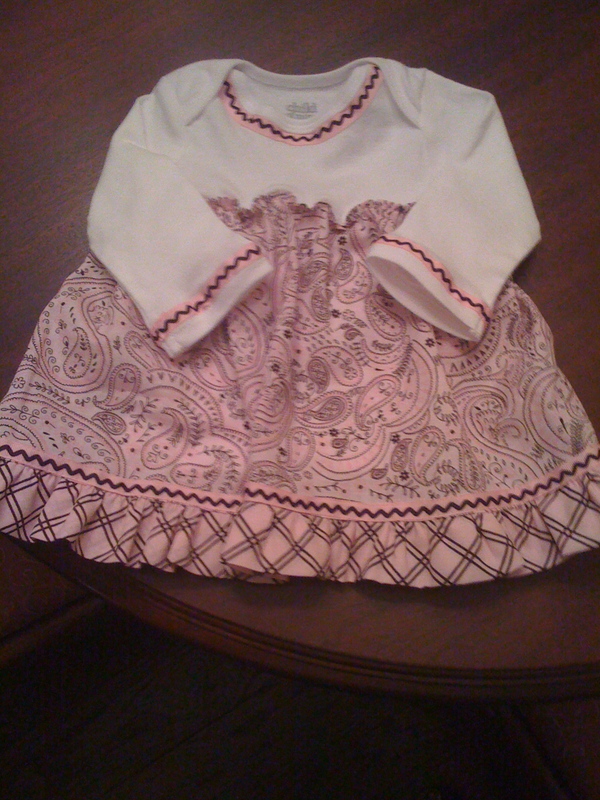 I get to make things for my baby girl. I'll be able to teach her to sew one day (best part). And eventually hopefully I can turn a small profit since we're a one income family. Thanks for the shout out. I am SO thankful for the tips on the onesie dresses. You are to kind! I learned a lot here that I did not know about you! 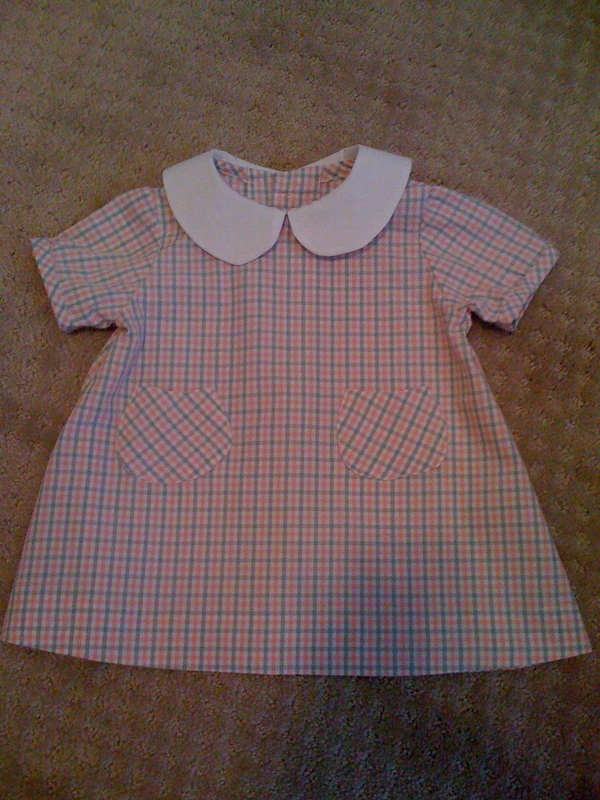 Jessie is almost the same age as you when you learned to sew. I want her to have this skill that I am just starting to learn a little. 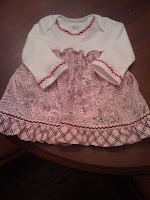 Maybe by the time I'm a grandmother, I'll be able to make something for my grandchild! I loved reading this, Dot! Kristen, Keep adding to your sewing history. Margaret, It's never too late to learn something new. Thanks for reading. Dot, this is a lovely post, and well done on your grand daughter's dresses/onesies. I have a 21 month old niece called Audrey. The name is making a comeback! I'd love to hear more of your reminicenses and it's a great way to preserve them for your family. Fiona, I love the "old fashioned" names. Our granddaughter is named "Olive". Today I received a serger as a gift from my sister-in-law who bought it and decided she didn't want to sew anymore. I am so excited to learn to use it. As always, thanks for reading!